Who should get the most credit for a product that brings in high revenue? The team who designed it? The people who marketed it? The sales force who sold it? 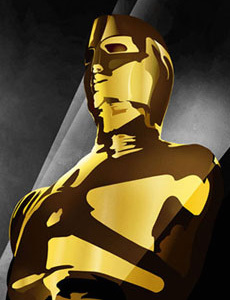 Logically, we would have to say that the highest paid, most visible, most irreplaceable people are responsible–until we look at the list of Oscar nominees for 2010. Later, we bumped into another friend of Allison, a writer who had a movie in the festival. He too was feeling dissatisfied and the conversation was remarkably similar. “A movie is created by the writer,” he told us, “It’s the writer who invents the story, who’s responsible for the film.” We didn’t speak with a director on that walk, but I’m confident that if we had, we would have heard the claim that films are most influenced by the creative voice of the director. That walk happened to be down Main Street during Sundance but it could have been down the corridor in almost any office building during a typical day. Who is responsible–and should get the most credit–for a product or service that brings in high revenues? The team who designed it? The people who marketed it? The sales force who sold it? The service reps who gave customers the confidence to buy it? The executive leadership team who strategized it? Not every person on the team is equally valuable, right? Think of a sports team–there are stars, who get paid tens of millions, and then there are the other players, who make, well, a lot less. It’s simple supply and demand: some people are more easily replaceable than others. So, logically, we would have to say that the highest paid, most visible, most irreplaceable people are responsible for the greatness of the product or service. Until we look at the list of Oscar nominees for 2010. What’s most interesting about the list isn’t which movies were nominated for Best Picture. What’s most interesting is what other categories the Best Picture winners were nominated for. Best Picture nominee, Black Swan, for example, was also nominated for Directing, Actress in a Leading Role, Cinematography, and Film Editing. Best Picture nominee The Fighter was also nominated for Original Screenplay, Directing, Film Editing, Actor in a Supporting Role, and two nominations for Actresses in Supporting Roles. Best Picture Nominee Inception was also nominated for Original Screenplay, Art Direction, Cinematography, Original Score, Sound Editing, Sound Mixing, and Visual Effects. Best Picture nominee The King’s Speech was nominated for a total of eleven other awards. True Grit had nine other nominations. The Social Network, seven. And, perhaps most telling, the number of Best Picture nominees with no nominations in other categories? None. In fact, to be nominated for Best Picture, a film had to be best in at least three other categories. In other words, a movie is only considered great when all the various parts are independently, and collaboratively, great. It’s never entirely the talent of a single person or team. It’s never even mostly the talent of a single person or team. Even when that person is Mark Wahlberg, or Natalie Portman, or a Coen brother. In total, the ten Best Picture movies were nominated for 5 directing awards, 9 screenplay awards, 15 acting awards, and 29 other awards. I call these others the back office awards–like film editing, sound mixing, cinematography, and art direction. It is unlikely that any of these movies would be nominated for best picture–and even more unlikely that they would win–if not for the stellar work done by the teams and people we rarely see and almost never acknowledge. We probably don’t even know what most of them do. It is almost always a mistake to highlight an individual, a role, or a team as responsible for the success of a venture in which a group contributes. Those we spoke to at Sundance might have each been correct in thinking that they don’t get enough credit. But they were also each wrong in thinking of themselves as deserving the credit. The best producers–arguably the CEO of the movie–understand this. I spoke to one highly accomplished producer who told me that the film world highlights directors because, from a PR standpoint, it helps to have a focal point for a movie. Like a brand name for a company. But, he told me, putting all the focus on a great director or a famous actor is clearly not the way to make a great movie. Did you see The Tourist? Even Johnny Depp and Angelina Jolie can’t save a bad film. The best leaders know this–they don’t just devote lip service to it–they really know it to be true. And they convey it through their own humility. Humility isn’t just an attitude, it’s a skill. The most effective people are highly confident (they know they add significant value) and manifestly humble (they recognize the immense value added by those around them). The skill is letting those around them know it. At the end of our walk down Main Street in Park City, I turned to my friend Allison and asked her whether she wasn’t the most important person in a film because she chose many of the people who would make it successful.